Click to read more / purchase! There has been a void on my keychain that has been begging to be filled. When I saw the Zebra Pen Pod, I was super happy to have a low profile pen to live on my keychain. Well, it was lost before I could review it due to a poor cap design. 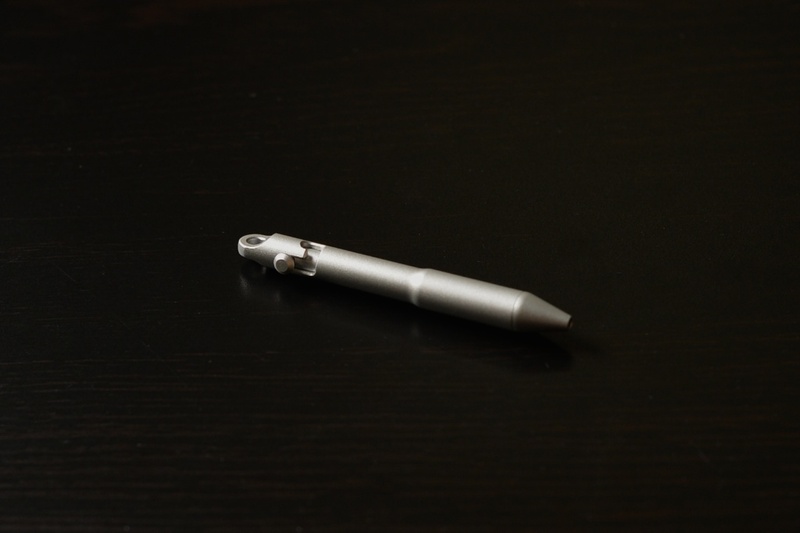 In steps The Move, a super small, super portable bolt-action pen designed by Oliver Sha. The pen was successfully Kickstarted and I was excited to see how it held up when Oliver offered a pen for me to review. Thank to Oliver for sending it over! The Move is small. It’s supposed to be small. It’s not much longer than a standard key, but it’s still shorter than my Honda car key. It’s made of metal, and hard-anodized with a slightly textured finish. The pen has a bulge towards the front to improve grip and the small bolt action mechanism protrudes slightly from the side. The pen is very well constructed and designed, with o-rings to keep parts from unscrewing, and tight tolerances. 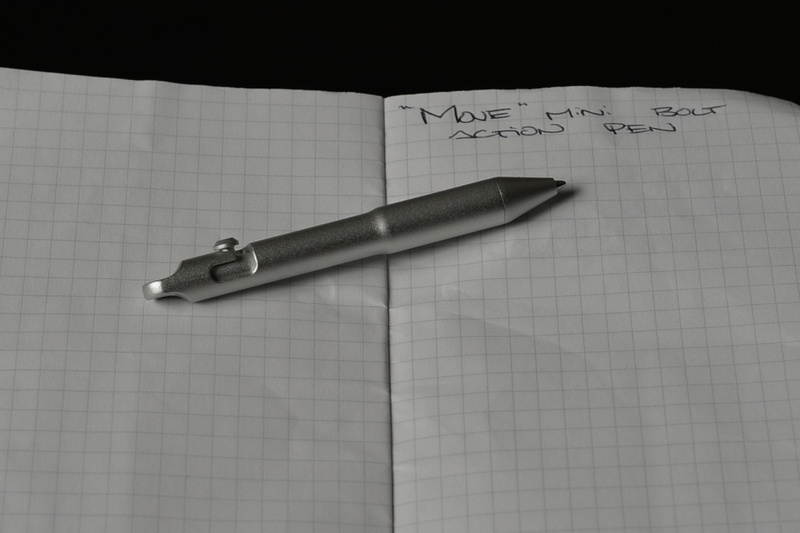 It’s fairly obvious that a lot of thought went into the design of the pen. It’s minimal, yet big enough to jot down some notes with. 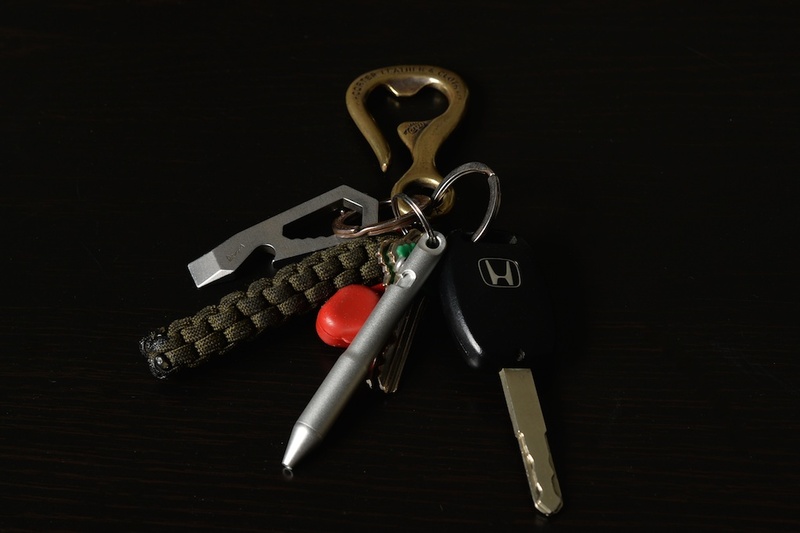 The pen attaches to a keyring easily via the small integrated loop at the top of the pen. The material is thick enough at the top to where I don’t have to worry about it snapping off and getting lost. I won’t be using the Move for any long note taking sessions. Why? Because it’s small. Really small. But guess what? That’s the point. It’s right there on my keychain when I need it and its light weight and minimal size make it a great addition to my EDC. The finish has a slight texture, and is comfortable in hand. I’m glad the grip is thicker than the small barrel of the pen. It’s actually a bit wider at the grip than a standard BIC or Papermate ballpoint pen. 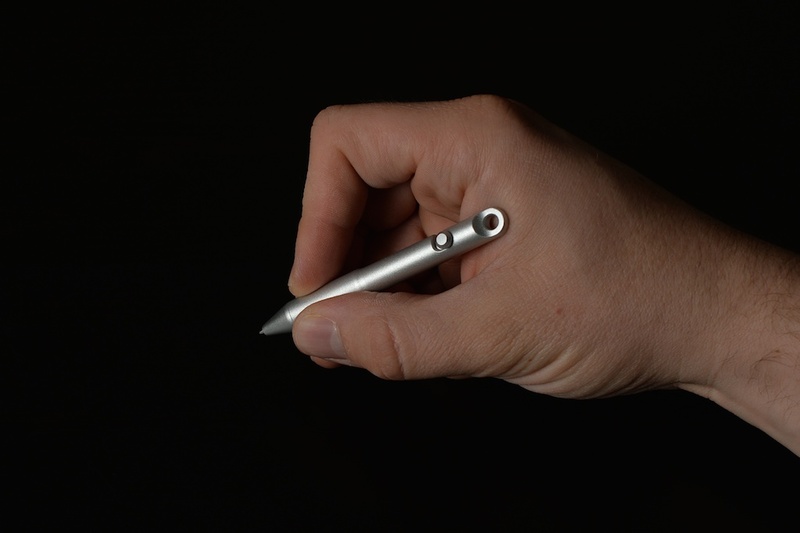 The tip of the pen screws off, revealing the Lamy M22 barrel-style ballpoint refill that the pen was designed around. The bolt-action mechanism works GREAT. It feels like it wants to be both extended and retracted. I’ve never found the pen accidentally open on my keys, and that’s exactly how it should be. I find myself playing with it pretty often, it makes a satisfying “snap” when it clicks into position. There’s not too much to say about the writing performance. It’s a Lamy M22 ballpoint refill, and due to the pen being the size that it is, that is the only refill it can take. 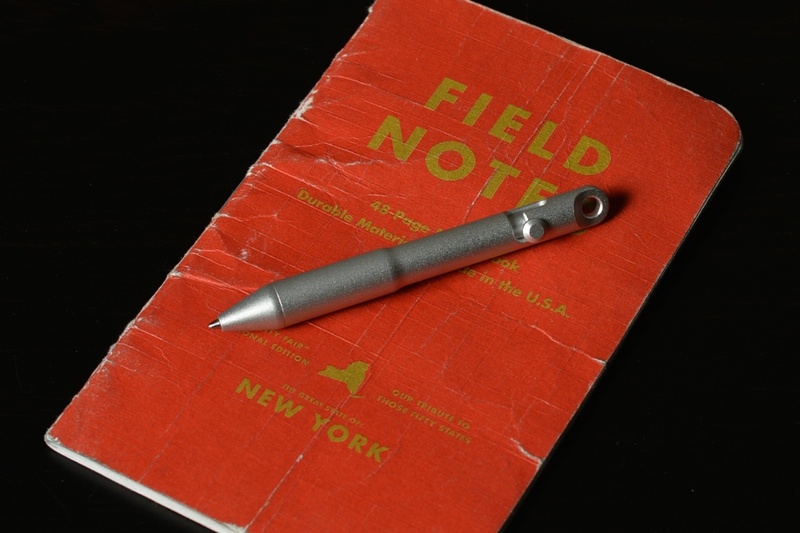 It performs decently well, but for quick notes – ballpoints are reliable, and relatively resistant to bad paper, wetness, and whatever else you can throw at it. The Move is a great little pen, and always having one on me (via keychain) is quite convenient. The pen is designed well, built well, and does the job it was designed to do perfectly. Thank you again to Oliver for sending it over to review! Disclaimer: I was given this pen free of charge and receive no compensation for my review, but that doesn’t mean I don’t 100% believe what I said! This pen is really cool. Great concept and executed very well.